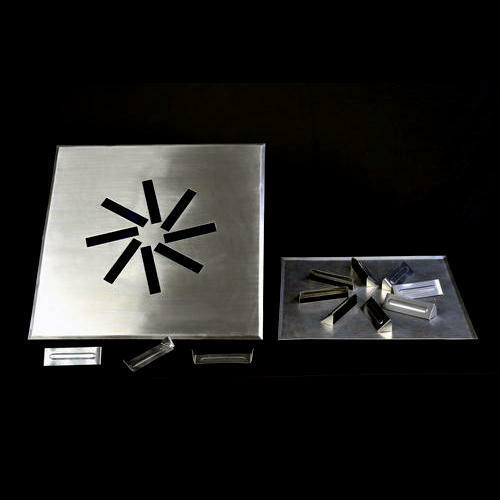 As per the needs and requirements of our clients, we are involved in providing Swirl Air Diffuser. Provides Rapid Air changes in Low and High Volume Rooms. Constructed in Stainless Steel and Aluminium. Can Serve Fixed as well as Flexible Operation. Applicable for Mixed Flow in Comfort and Clean Room. Shreeson Technologies Private Limited was established in the year 2007. We are leading Wholesaler, Manufacturer Retailer of Air Distribution Products, Sheet metal Enclosure for Low and Medium Voltage etc. We offer different and easy options of payment keeping in mind the convenience of our valued customers. The customer-focused approach has enabled us in establishing a broad client base across the market. By using upgraded tools and rigorous methods, the unmatched quality of the offered product is never compromised. We also provide Service of GI Ducting Service.